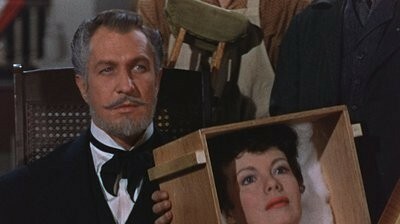 Vincent Price, that is. One of Hollywood’s all-time greats, Price defined an era of horror with unforgettable performances that ranged from 1959’s The Tingler to 1971’s The Abominable Dr. Phibes. (Oh, and don’t forget his excellent monologue in Michael Jackson’s “Thriller.”) Not only is the Hollywood Theatre screening two of Price’s most beloved and chilling films on 35mm—House on Haunted Hill (1959) Friday, March 1st, and House of Wax (1953) Saturday March 2nd—but they’re also bringing in Price’s daughter, Victoria Price, who, in post-film Q&As, will reflect on her father's inimitable legacy.